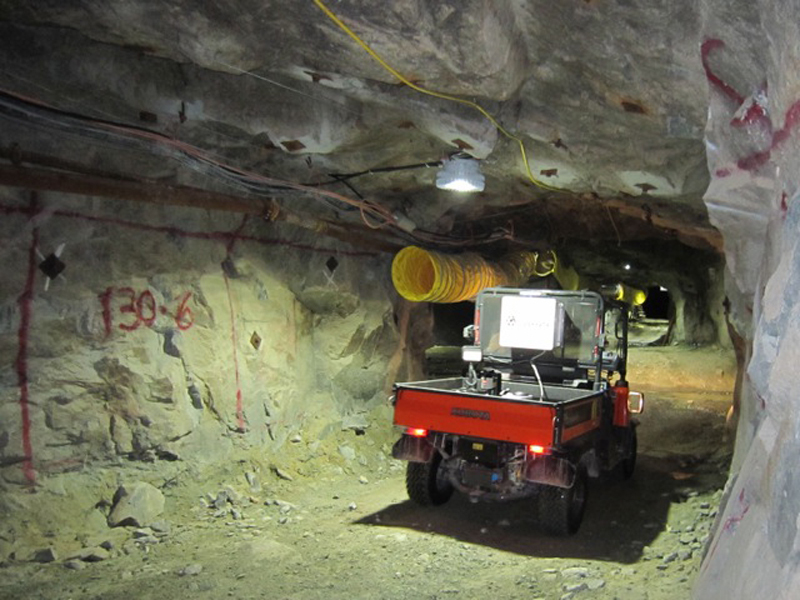 MSL is a multidisciplinary research facility that supports field robotics and systems automation R&D for the mining and exploration industries. MSL’s research equipment includes a host of mobile robot platforms and associated software, from small robots to access challenging environments (e.g. Husky A200 ground vehicle and AscTec Pelican UAV) to automation-ready full-scale machines. MSL’s Kubota robotic R520S wheel loader and robotic RTV900XT utility truck are both diesel-powered and hydraulically actuated robotic vehicles. They are suitable for machine robotics and automation R&D at both surface and underground mining operations and at Queen’s own field-testing sites near Kingston. All MSL platforms have access to a range of IP-rated sensors, including several SICK LMS scanning laser rangefinders, a SwissRanger TOF camera, a Velodyne LiDAR, high-accuracy GPS systems, high-quality IMUs, Wi-Fi and RFID communications and other specialized sensing equipment. Robotic Kubota R520S wheel loader at Queen’s Innovation Park. 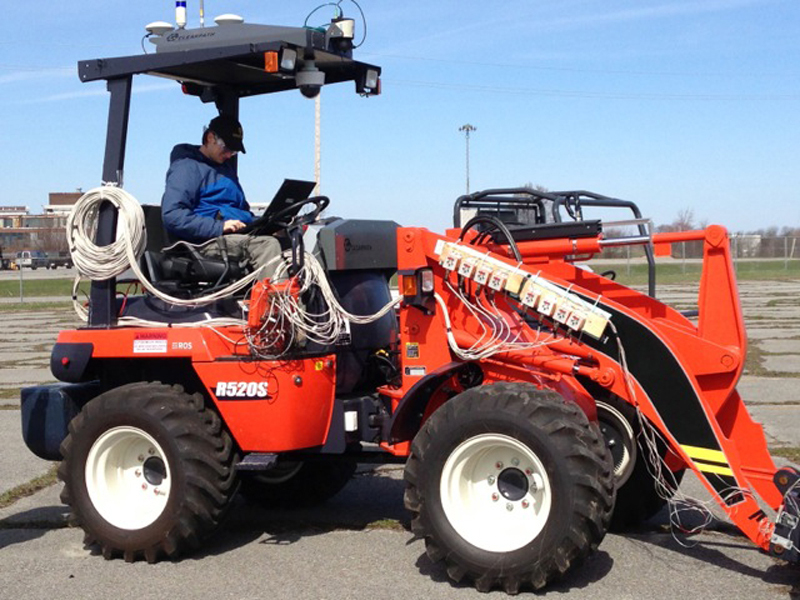 Robotic Kubota R520s performing robotic excavation experiments at Queen’s Innovation Park. Photo of the MSL laboratory and office facilities in Jackson Hall.